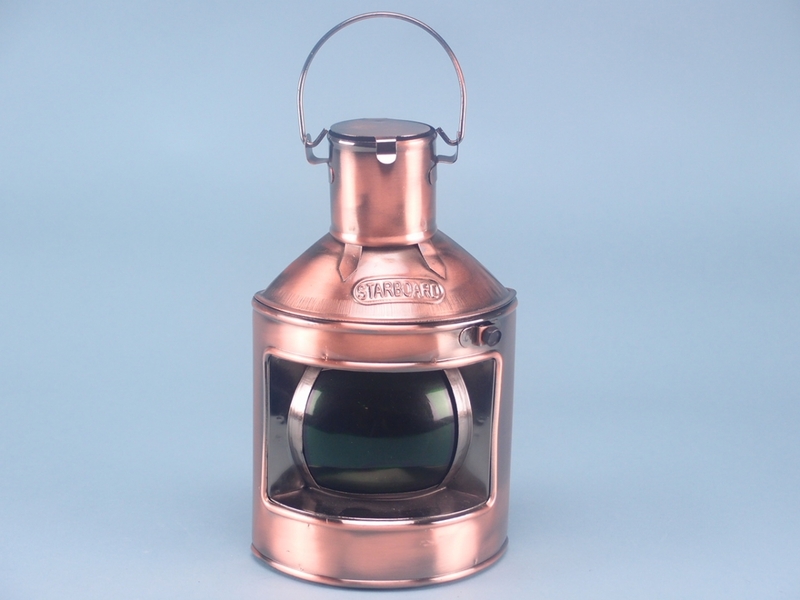 This unique starboard lamp is a very popular item from our brassware gift range. While it can be used as a decoration in a room with a nautical theme, the lamp is fully functional. You will need to use a tea light. Placing it inside the lamp will create a warm green glow thanks to the glass lens found within the design. The copper effect adds to the beautiful antique aesthetic. As you can see from the image, the word “Starboard” has been embossed onto the front upper part of the lamp. 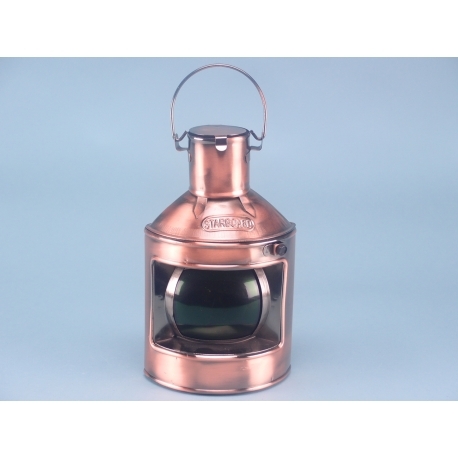 A great collectible or a nautical gift that your customers are going to love.